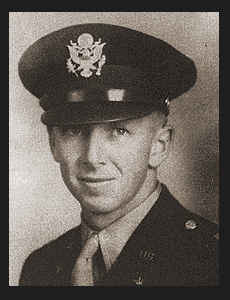 Lt. Chester Hugh Rick, son of Mr. and Mrs. W. H. Rice, graduated from Frederick High School. Entered Air Corps in 1942, trained in Montgomery, Ala., Americus, Bainbridge, Ga., Marianna, Perry, Elgin Fields, Fla.; went overseas in April, 1944; served in England and France. where he was killed in action, Aug., 1944. Awarded Air Medal with Oak Leaf Clusters, the Purple Heart.